With appreciation to our partners at International Memorial for years of fruitful and enjoyable cooperation. 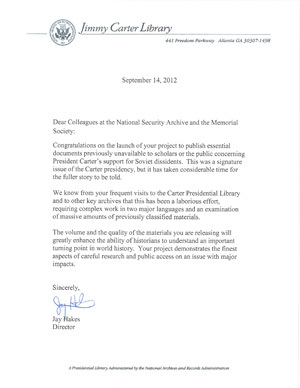 Letter from the Jimmy Carter Library, September 14, 2012. 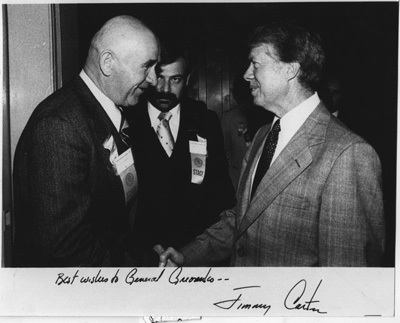 Courtesy: Jimmy Carter Presidential Library. Moscow, Russian Federation, 18 September 2012 – The first-ever Web publication of previously secret U.S. documents on Soviet dissidents, matched with reports and letters by the dissidents themselves from the Memorial Society Archives in Moscow, illuminate the landmark turning point during Jimmy Carter's presidency in the late 1970s when U.S. policy first elevated human rights concerns, and the dissidents led the international movement that discredited Soviet claims that attention to such issues was "interference in internal affairs." The rise of Soviet dissent in the 1960s and 1970s played a catalytic role in the transformation of human rights into an international norm of expected state behavior, according to the newly-published documents; and while Soviet repression succeeded in the short term in exiling or imprisoning most of the leading dissidents, the resulting legitimacy deficit contributed to the collapse of the Communist system at the end of the 1980s. The documents published today include highest-level memoranda to President Carter from his top advisers Zbigniew Brzezinski and Cyrus Vance, CIA assessments of the dissident movement and the Soviet government's reactions, and U.S. National Security Council discussions of the issue. The Memorial documents include contemporaneous reports written by dissidents such as Moscow Helsinki Group co-founder Lyudmila Alexeyeva about specific arrests, trials, and repressions - often in the form of personally-addressed letters to President Carter requesting U.S. attention to the issues. Veterans of the Soviet dissent movement will join representatives of Memorial and the National Security Archive for a public discussion and reception at the Memorial building in Moscow (Karetny Ryad, No. 5/10) at 6 p.m. on September 18 to mark the launch of the Web publication - which appears in Russian on the Memorial Web pages and in English and Russian on the National Security Archive Web pages. Document 1 - White House, Memorandum, "Situation of Ginzburg and Orlov," Top Secret/Sensitive/Codeword, February 10, 1977. Document 2 - State Department, Memorandum, Vance to the President, Secret, February 14, 1977. Document 3 - White House, Memorandum, Brzezinski to the President, "Information Items," Top Secret/Sensitive/Codeword, February 14, 1977. Document 4 - White House, Memorandum, Brzezinski to the President, "Weekly National Security Report," Top Secret/Codeword, February 19, 1977. Document 5 - White House, Memorandum, Jody Powell to the President, "Soviet Dissidents," (with cover note from Rick Hutcheson), February 21, 1977. Document 6 - Central Intelligence Agency, Intelligence Memorandum, "Dissident Activity in Eastern Europe: An Overview," Secret, March 1977. Document 7 - White House, Memorandum, Brzezinski to the President, "Weekly National Security Report #3," Top Secret/Sensitive, March 5, 1977. Document 8 - White House, Memorandum, Brzezinski to the President, "Information Items," Top Secret/Sensitive/Codeword, March 15, 1977. Document 9 - White House, Memorandum, Brzezinski to the President, "Weekly National Security Report #7," Top Secret/Sensitive/Codeword, April 1, 1977. Document 10 - Central Intelligence Agency, Review, "Review of Soviet Internal Affairs," Top Secret, April 14, 1977. Document 11 - White House, Memorandum, Brzezinski to the President, "Weekly National Security Report #9," Top Secret/Sensitive/Codeword, April 16, 1977. Document 12 - Central Intelligence Agency, "Impact of the US Stand on Human Rights," Secret, (with cover note from International Issues Division), April 20, 1977. Document 13 - Central Intelligence Agency, "The Soviet View of the Dissident Problem Since Helsinki," Top Secret/UMBRA, May 1977. Document 14 - State Department, Memorandum, Vance to the President, May 23, 1977. Document 15 - Memorandum, Global Issues to Brzezinski, "Evening Report," Top Secret, June 7, 1977. Document 16 - White House, Memorandum, Untitled, Top Secret/Sensitive/Codeword, June 24, 1977. Document 17 - Central Intelligence Agency, "The Evolution of Soviet Reaction to Dissent," Secret, July 15, 1977. Document 18 - White House, Memorandum of Conversation, "The President's Meeting with USSR Foreign Minister A.A. Gromyko," Secret, September 23, 1977. Document 19 - State Department, Briefing Memorandum, Goldberg to the President, "Interim Report on the Belgrade Conference," No classification, November 18, 1977. Document 20 - State Department, Minutes, Meeting of the Interagency Coordinating Committee for U.S. - Soviet Affairs, "U.S.-Soviet Relations," Secret, December 6, 1977. Document 21 - Central Intelligence Agency, Intelligence Assessment, "The Soviet Perception of the Carter Administration, January-October 1977," Secret, January 1978. Document 22 - White House, Memorandum, Joyce Starr to Robert Lipshutz, "Proposed Meeting with Alexander Slepak," No classification, (enclosing letter from Slepak), January 12, 1978. Document 23 - White House, Memorandum, Joyce Starr to Arthur Goldberg, update on Scharansky and Kuznetsov cases, No classification, (enclosing Memorandum from Brzezinski and Lipshutz for the Vice President et al. ), January 31, 1978. Document 24 - White House, Memorandum, Joyce Starr to Arthur Goldberg, "Update on Scharansky and Kuznetsov Cases," No classification, January 31, 1978. Document 25 - White House, Memorandum, Joyce Starr to Robert Lipshutz, "Belgrade CSCE trip, February 15 - February 24: observations and recommendations," Administratively Confidential, March 3, 1978. Document 26 - State Department, Minutes, Meeting of the Interagency Coordinating Committee for U.S. - Soviet Affairs, Untitled, Secret, March 21, 1978. 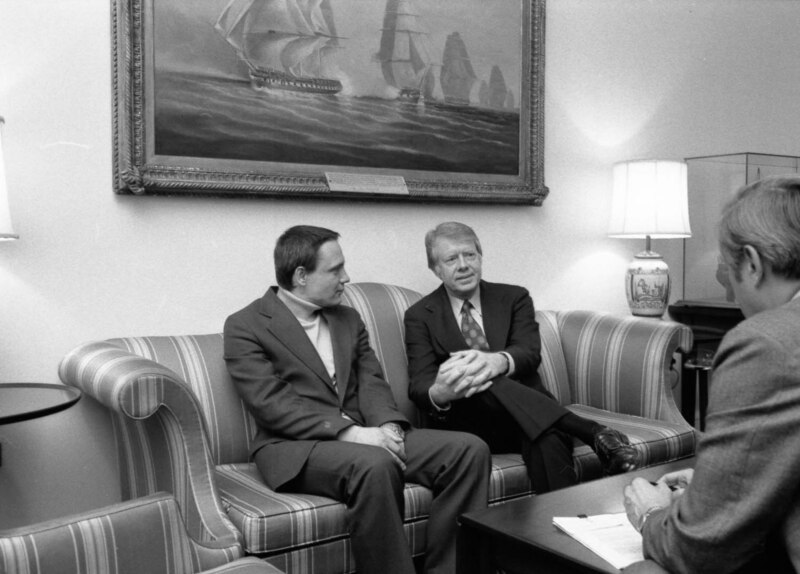 Document 27 - White House, Memorandum of Conversation, Jimmy Carter and A.A. Gromyko, "SALT, CTB, Africa, Human Rights," Secret/NODIS, May 27, 1978. Document 28 - "Background Memorandum: Shcharanskiy Case" and "Statement By Department Spokesman: Shcharanskiy Trial," Secret, not dated, circa June 1978. Document 29 - White House, Memorandum, Joyce Starr to Robert Lipshutz, Cover Memo attaching three memos ("Human Rights Policy and Coordination," "CSCE: Failure of U.S. Diplomacy," "Ambassador Arthur Goldberg"), Confidential, June 19, 1978. Document 30 - White House, Memorandum, Joe Aragon to Hamilton Jordan, "Human Rights," No classification, July 7, 1978. Document 31 - State Department, Statement, "Statement by Secretary of State Vance," Unclassified, July 8, 1978. Document 32 - White House, Memorandum, Brzezinski to the President, "Options for Responding to the Shcharanskiy and Ginzburg Trials," Secret, July 10, 1978. Document 33 - State Department, Memorandum, Vance to the President, Untitled, Secret, July 10, 1978. Document 34 - State Department, Memorandum of Conversation, "Vance-Gromyko Private Meeting," Secret/NODIS, July 13, 1978. Document 35 - State Department, Memorandum, Vance to the President, Untitled, Secret, July 22, 1978. Document 36 - Central Intelligence Agency, National Foreign Assessment Center, Weekly Report, "Human Rights Performance: January 1977-July 1978," Confidential, September 1978. Document 37 - Central Intelligence Agency, National Foreign Assessment Center, "Human Rights Review: August 18-31, 1978," Secret, September 1, 1978. 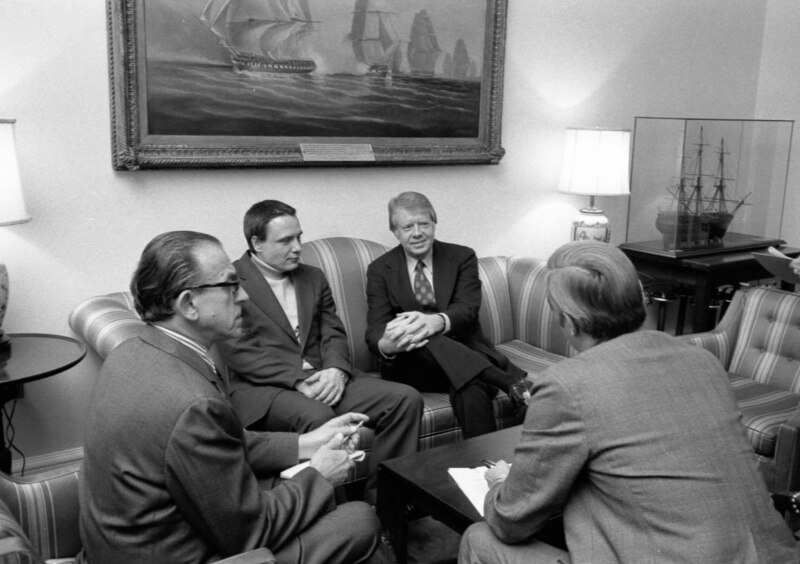 Document 38 - White House, Memorandum of Conversation, Dobrynin and Brzezinski, Untitled, Secret, September 20, 1978. Document 39 - Office of Senator Jackson, News Release, "Remarks by Senator Henry M. Jackson," Unclassified, October 1, 1978. Document 40 - State Department, INR Weekly Highlights of Developments in Human Rights, "Soviet Union and Eastern Europe," Secret/NODIS, May 11, 1979. Document 41 - State Department, "Major Executive Statements on Behalf of Anatoliy Shcharanskiy," ranging from June 2, 1977 through July 23, 1978, Unclassified, July 16, 1979. Document 42 - State Department, Memorandum, Vance to the President, Untitled, Secret, August 13, 1979. Document 43 - State Department, Memorandum, William G. Bowdler to Vance, "Soviet Trends No. 42: If Brezhnev Dies in Office," Secret/WNINTEL/NOFORN, October 23, 1979. Document 44 - National Security Council, Memorandum, USSR/Eastern Europe section of NSC to Brzezinski, "Evening Report," Secret, November 7, 1979. Document 45 - White House, Memorandum, "Watson's Policy Recommendations on U.S.-Soviet Relations," Secret, February 6, 1980. Document 46 - National Security Council, Memorandum, Paul B. Henze to Brzezinski, "Dissidence in Eastern Europe and the USSR - Are We Doing Enough?," Secret, April 17, 1980. Document 47 - State Department, Memorandum, Peter Tarnoff to Brzezinski, "US Government Initiatives on behalf of Human Rights in the USSR," Confidential, April 17, 1980. Document 49 - State Department, Memorandum, Muskie to the President, Secret, "UN Meeting with Gromyko," September 13, 1980. Document 50 - White House Situation Room, Memorandum, via Fran Voorde to the President, "Muskie-Dobrynin Meeting; Follow-Up to Gromyko Bilateral," Secret/Sensitive/Eyes Only, October 5, 1980.